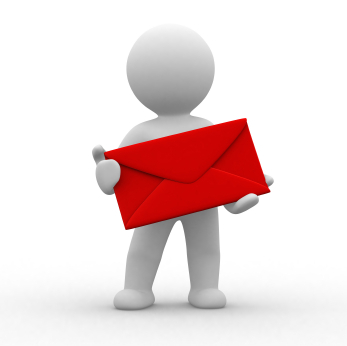 Part 3: Email marketing – one of the most cost effective marketing channels available. Which emails do you think have higher click through rates? Ones that have a lot of links, or ones with fewer links? In 2009, click rates were highest on email messages with more than 20 links. Most of these messages were likely email newsletters, with multiple articles and other items of interest to the recipients. It’s a best practice in email newsletters to make the headline a link to the full article text, as well as including a “read more” link at the end of the article summary. The second highest click rates went to email messages with between 1 and 5 links. These tend to be brief promotional emails with a few calls to action. With promotional email messages, don’t make your subscribers scroll through the entire email to get to the link you want them to click on. It’s a best practice to include the key call to action in multiple places in the email. Be sure you have a call to action with a link at the beginning, middle and end of your email message so that subscribers don’t have to search for a link when they are ready to take action. Tip: Just because you can link to something doesn’t mean that you should. Make sure that every link in your email message drives people toward the action you want them to take. Don’t take them on tangents where they’ll have trouble getting to your desired action. Previous Post LMX – Local Marketing: There’s An Expo For That!